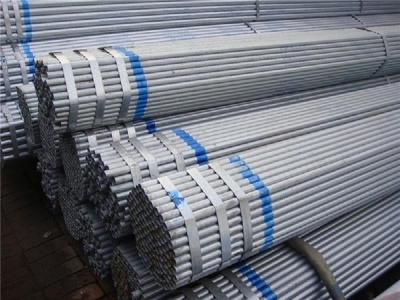 Galvanized Iron (GI) Pipes are manufactured using mild steel strips of Low Carbon Steel Coils. The strips are passed through a series of fin rolls to give them a circular shape. The slit ends of the strips are then welded together by continuously passing high frequency electric current across the edges. Commonly used for water & sewage pipes, electric poles, structural purposes, engineering purposes, automotive purposes, and oil and gas transmissions. Galvanized Iron Pipes have higher durability and longevity, weld consistency and intergrity and greater resistance to corrosion.